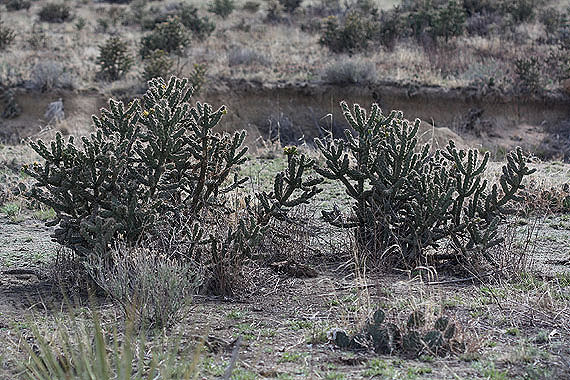 Tree Cholla is the only shrublike cactus found in eastern Colorado. 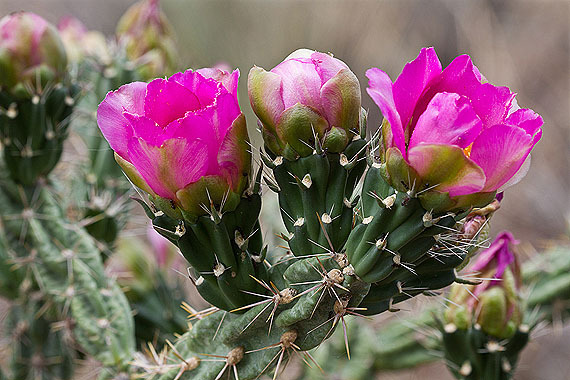 Cholla are easily spotted on the plains in southeastern counties, especially south of Colorado Springs and east through the Comanche National Grasslands. Flowers are pink to magenta. Fruits are yellow and could be mistaken for blossoms from a distance. There are no similar species in eastern Colorado. 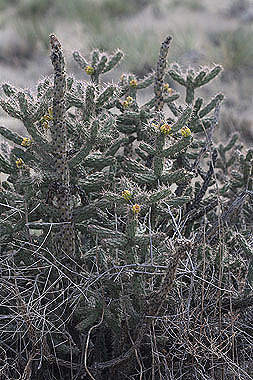 Whipple Cholla, with yellow or green flowers, is found in southwest Colorado.